If shopping was a sport, The Landmark shopping mall would be the Olympic venue—big, flashy, and ultra expensive. 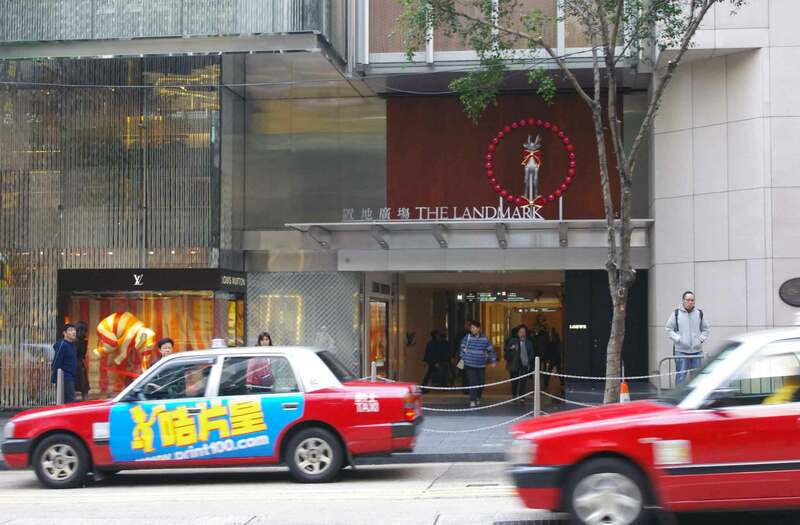 The Landmark is one of Hong Kong's higher-end shopping centers with more luxury labels per square foot than anything we've seen before. Between the fashion, jewelry, and Michelin Star restaurants, it's easy to go broke in this place, but if designer names and luxe eats are what you're after, The Landmark is the best place to find them. There are 5 levels of shopping to explore, filled with the best of the best from Europe, North America, and China. You'll find brands such as Chanel, Dior, Louis Vuitton, Paul Smith, Rick Owens, Saint Laurent, Yewn, Patek Phillippe, and of course Harvey Nichols. This prestigious address has even coaxed a few designers that don't have a presence elsewhere in the city, so you know there's something elite about this location. Since The Landmark attracts more upscale retailers, you won't find, H&M, Zara, or any other mid-range mass-market brands here. Fashion isn't the only thing The Landmark does right. The shopping center is flanked by the swanky The Mandarin Oriental Hotel, and you'll find a list of mouth-watering high-end restaurants such as the French favorite Pierre, and the Chinese classics Man Wah, and Peking Garden. For outstanding Italian try 8 1/2 Otto e Mezzo BOMBANA which has been delighting guests since it opened. If you're in the market for one of these Michelin Star eats make sure you call ahead to make reservations (or know someone who can pull some strings) because these places book tables months in advance.